Polygamy persists in Bedouin culture. That could be changing. 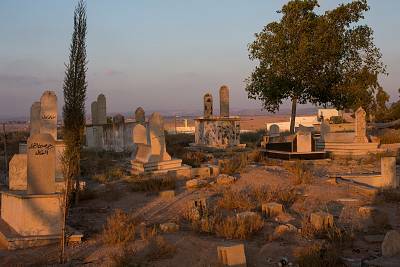 BEERSHEBA, Israel — Yusra will never forget the day she met her husband's other wife. For the first three years of their marriage, they lived in northern Israel, far from their Bedouin community. Most of Israel's 250,000 Bedouin citizens, who historically are tribal nomadic Muslim Arabs, live in the Negev desert. The day they moved back there to her husband's village, Yusra recalls: "Children I'd never seen or heard of before started running up to him screaming, 'Daddy, Daddy!'" He then introduced Yusra to his other wife, who lived next door. "My heart was bleeding." Still, Yusra adored her husband. Many Bedouin men have multiple wives, she told herself. "It's our tradition." Plus, she was his newer, younger wife, so she got most of his attention. Then, after five children and 18 years together, her husband uttered the words that she said destroyed her. "I'm taking another wife," he said. "I have needs as a man, and you're not meeting them." Yusra begged him to reconsider. "You don't decide," he told her. He moved into a house next door with his 18-year-old bride, leaving her alone with their children, including a son with cerebral palsy. "I was broken," says Yusra, 42, wearing a red head scarf that frames her eyes. She asked NBC News to use only her first name for fear of reprisals from her husband, who still lives next door. That was 2014, and Yusra thought she had no choice. What she didn't know is that polygamy has been illegal in Israel since 1977 and is punishable by up to five years in prison. Many Bedouin don't know that, because Israel has rarely enforced that law, seeing it as an internal ethnic issue. According to Israeli government data, at least 20 percent of Bedouin families are polygamous, but women's rights advocates estimate the figure is closer to 40 percent, and 60 percent among older men. Even a Bedouin member of the Knesset, the Israeli parliament, has two wives. No Bedouin woman has ever held a political position in Israel, not even on the local level, though the combined Arab political parties have the third-largest party representation in the Knesset. Bedouin village councils are run exclusively by men, many of whom are polygamous. Though Bedouin women can legally drive, attend university, vote and work, they are often pressured by their families not to do anything more than what their husbands expect: stay home, cook, clean and raise children. Bedouin men who marry multiple wives only register one marriage with Israeli authorities, making the problem difficult to track. Muslim marriages are carried out by Sharia courts, and multiple marriages by one man are rarely reported to authorities. Thus many married Bedouin women are legally considered single. 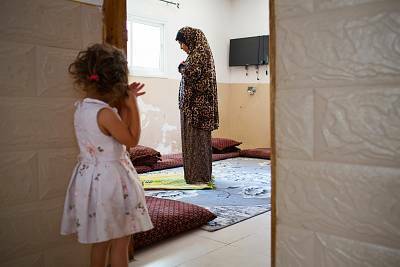 As a result, despite its traditionalism, the Bedouin community boasts Israel's highest rate of single mothers. Over 10 percent of Bedouin families are single-parent households. Now all of that is changing. In January 2017, the government passed an $825 million plan to improve the socio-economic status of the Bedouin sector, Israel's most disenfranchised population. Part of that plan wasthe creation of a government committee to eradicate polygamy and help the women and children who are hurt by it. The head of this committee is Justice Ministry Director General Emi Palmor. She spent a year meeting with Bedouin women in southern Israel to develop the government's plan. In July she produced a315-page report detailing 84 recommendations spanning law enforcement, education, health and welfare. "Polygamy impacts every aspect of their lives," said Palmor, adding that women in polygamous marriages suffer high rates of sexual assault, domestic violence and depression. Bedouin men typically live with their newest wife, leaving their previous wife to fend for herself and their children. 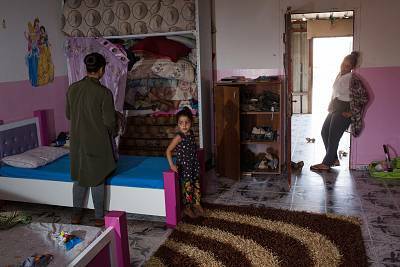 According to Israel's Central Bureau of Statistics, just 20 percent of Bedouin women work, so children of such marriages are born into a cycle of poverty. The Bedouin have Israel's highest rates of unemployment, poverty, and an average birth rate of six children, double that of the general population. This month, cabinet ministers approved the committee's recommendations, which include anti-polygamy education, barring polygamous men from civil service and teaching jobs, and increasing law enforcement. The 84 recommendations are now being implemented across numerous ministries and drafted into laws. Israel's attorney general has issued 15 criminal indictments against polygamous men, and Sharia judges are cooperating to ensure more men are reported. "The impact is much more than 15 indictments," said Palmor. "Bedouin men are getting the message that polygamy is unacceptable. They need to take responsibility for their families." Now Bedouin women say it's about time Israel cracks down. Leading the way is Insaf Abu-Shareb, an outspoken feminist who defies the stereotypes of what a feminist is and what a Bedouin woman should be. As a girl, Abu-Shareb was told that her life mattered less than her brothers. Her mother was 15 when she married her father. One of 17 children, Abu-Shareb, 39, recalls how each time her mother had a boy, "there were celebrations. Friends and family came from all over the country to bless him." When she give birth to daughters, there were no celebrations. "People told her they were sorry, and said Inshallah" — with Allah's will — "the next one will be a boy," she said. Abu-Shareb went on to become one of the first Bedouin women to earn a law degree and is now a leading activist fighting for Bedouin women's rights. In over a decade of pro-bono work as an attorney, she found a common thread: Nearly every woman who sought her help was in a polygamous marriage. "All their problems went back to that," she said. In one case, a 14-year-old girl was purchased from her family in the West Bank by a Bedouin man in his 50s. In another, a man turned a gun on his wife for opposing his marriage to another woman. Until March, Abu-Shareb represented the Arab-Jewish nonprofit organizationItach-Ma'aki, Women Lawyers for Social Justice, fighting to raise awareness and filing petitions to the courts. When that failed, she turned to Arab lawmakers, who told her there were more pressing issues plaguing the Bedouin community, such as home demolitions and access to government services in unrecognized villages. "For years, nobody wanted to touch polygamy," said Abu-Shareb. It was thought of as "religious freedom," she said in air quotes. Though the Koran permits a man to marry up to four wives, he's required to treat them equally. "That's far from what's happening in reality," she says. Since the establishment of the State of Israel, the government has been in a land dispute with the Bedouin community, which claims to own the land it lives on in the desert. The government has demolished thousands of their homes and villages on grounds of illegal construction. Abu-Shareb's childhood home was bulldozed when she was 10. Many Bedouin, including Abu-Shareb's own family, live in so-called unrecognized villages, without government services like running water, electricity and transportation. "This is just another form of patriarchy," Abu-Shareb said of Arab lawmakers who told her that fighting polygamy was not a priority. "They act as if Bedouin women aren't strong enough or smart enough to know what's important to us. They believe they know better." In 2015, Arab feminist Aida Touma-Sliman became head of the committee on the Status of Women and Gender Equality — the first Arab lawmaker to lead any Knesset committee. Abu-Shareb thought her moment had finally come. She requested meetings and sent letters asking Touma-Sliman to combat polygamy. "All she had were excuses," said Abu-Shareb. "'It's sensitive,' she said, 'We have a polygamous member of Knesset in our party.' To hear a female Arab member of Knesset who claims to be a feminist ignore the needs of the Bedouin women she's supposed to represent, was really disappointing." As a critic of Israeli policy toward the Bedouin community, Abu-Shareb tried to work with Arab lawmakers on the issue. But after she said her requests were repeatedly ignored, she turned to Israel's Justice Ministry, led by right-wing minister Ayelet Shaked. "From my experience in trying to fight this for 10 years, we cannot do it alone," she said. Abu-Shareb presented officials with research she had conducted on the harm polygamy causes to Bedouin women and children. She brought Bedouin women's testimony to the Knesset for the first time in early 2017. Meanwhile, right-wing ministers raised concerns over the large numbers of women being brought into Israel from the Palestinian territories to marry Bedouin men. Though she worries the government is principally motivated by a desire to limit the Arab birth rate, Abu-Shareb joined the anti-polygamy committee as its only Bedouin woman. Her aim is to ensure that Bedouin women will be represented. "For decades the state did nothing. Now the moment the state is taking action we need to be there to ensure that these decisions will be good for Bedouin women," says Abu-Shareb. "We can't afford not to be part of this conversation." Many of those 84 recommendations came from Abu-Shareb herself, who advised Palmor, facilitated her meetings with Bedouin women, and is working with the government to implement its plans. "Without the perspective Insaf provided, there would be no report on polygamy, and no change to the situation," said Palmor. Abu-Shareb has been praised by Bedouin women and some men for her role in the government's fight against polygamy. Yet she faces criticism from Arab politicians and women's rights organizations, which have painted the government's anti-polygamy plan as a crusade to reduce the Arab birth rate. Insaf left her organization after its leader urged her to stop participating with the government. "They say I'm playing into the hands of the right and their battle for demographics, and that this is against the Bedouin," said Abu-Shareb. "I say, I'm looking out for Bedouin women because nobody else is." Mona Al-Habnen, another Bedouin women's rights activist, said that despite her suspicions of the government's agenda, she supports the fight to end polygamy. "It isn't just the state standing in our way. Our biggest obstacles are our husbands and our community," said Al-Habnen, who was the first Bedouin woman to run in a local election. She dropped her candidacy following threats from Bedouin men, including family members. Abu-Shareb, who describes herself as no fan of Israel's right-wing government, said she believes Arab lawmakers are failing to see a bigger picture. As long as Bedouin women feel powerless, she said, they can't fight for the national struggle. "If we don't have rights inside our homes," she said, "how can we fight for our rights outside our homes?"